Lieber & Sons is proud to offer the Third Edition of its Practitioner Edition of the Department of Defense Law of War Manual. This is the current version of the Law of War Manual published in electronic format by the Department of Defense in December 2016. 2017 Practitioner Edition. Now in print. 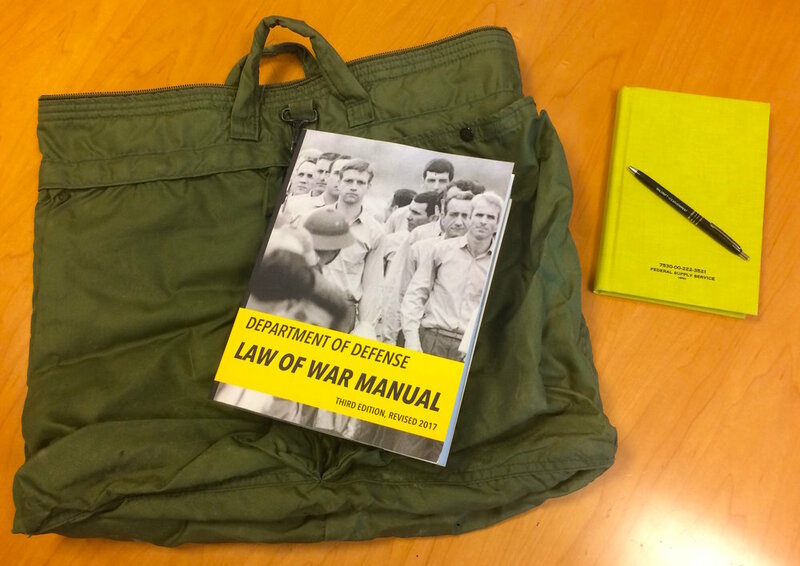 The Department of Defense Law of War Manual belongs on the shelf of every researcher, journalist, lawyer, historian, and individual interested in foreign affairs, international law, human rights, or national security. 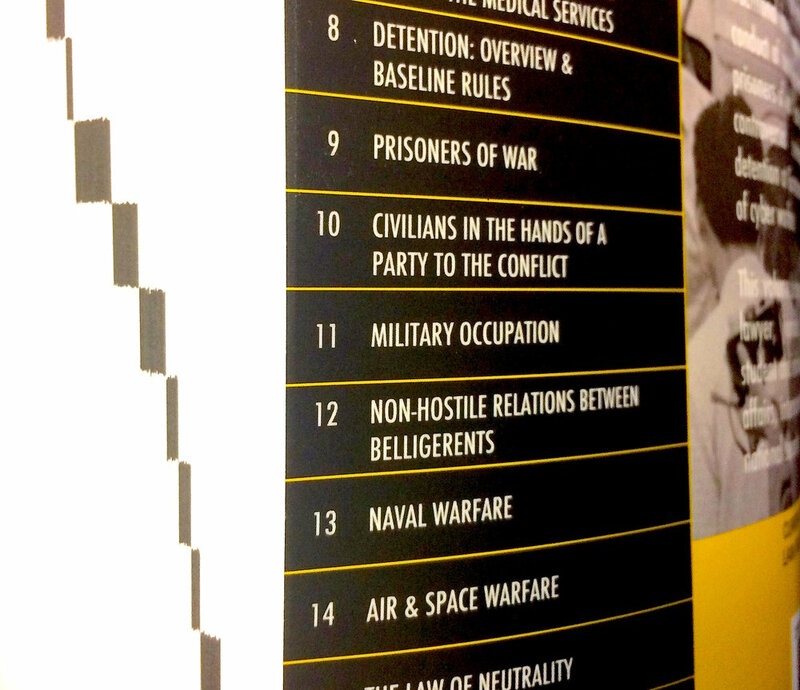 The Manual provides a comprehensive, authoritative interpretation of the law of war for the U.S. Department of Defense. Our print paperback edition is designed with the practitioner in mind. FAQs. Convenient thumb index keyed to the back cover for ease of locating relevant chapters. Published in perfect "manual size" - about 7.5 x 9.5 - ready for the library, the office, or the go bag. 19 chapters, 1200 pages, 7,047 footnotes. Price is $75 (with free shipping) available here, Amazon or other retailers. For any questions, please contact sales@lawofwarmanual.com. Lieber & Sons, PO Box 805, Maplewood, NJ 07040. Contact: sales@lawofwarmanual.com.